The key question we would all like an answer to now is has the dollar rally gone too far? From 1.6035 in the middle of July to below 1.46 before the end of August is as aggressive a move as they come, but it has happened during a period when liquidity is markedly low and currency moves tend to become exaggerated. We must look for the change in interest rate differentials over this time period to determine whether or not the dollar’s rally is justified in the wider scheme of events. There is no doubting weaker euro zone data has had futures markets reassessing rate expectations for the euro area and the yield on the March forward contract has fallen to 4.11% today, from 4.61% on July 21, thus a narrowing of 0.5% in the rate differential. The yield on US treasuries has hardly moved over the past month, so therefore we can say since the euro hit its peak, rate expectations between the dollar and the euro have narrowed by 0.5%. Since the ECB started its current monetary tightening cycle way back in Dec 2005, a 1% shift in rate differentials between the US dollar and the euro has translated into an approximate 8% movement in the exchange rate. Therefore the 0.5% shift seen over the past 6 weeks should translate into roughly a 4% gain for the dollar. A 4% gain would mean EUR/USD should now be trading at around 1.5395 and not 1.4595. That suggests the current rally may be overdone by as much as 8 cents. Of course rate differentials are likely to narrow further in favour of the dollar through to the end of the year, when falling commodity costs should give the ECB greater wriggle room to consider cutting interest rates, while any pickup in economic activity in the US will bring closer the day when the Fed will be in a position to increases US rates. For now though, the market seems to have lost the run of itself and it is sheer momentum rather than economic fundamentals that is driving EUR/USD lower. It is therefore dangerous to sell the euro at the current price and while most traders would prefer to follow the trend down, one is best advised to only sell down at an attractive price (closer to 1.50), which is not currently on offer. We could witness a very sharp correction higher in the euro next week, when liquidity returns to normal after the August holiday period comes to an end. Today’s Ifo business survey for August shows sentiment amongst German business executives fell much more than expected, hitting new record lows and pointing a probable recession in the euro area’s largest economy. I previously remarked that the ECB’s rate hike in July could prove to have been a fatal error of judgement and all of the economic data we have seen since holds up that argument. Jean Claude Trichet and his colleagues have not been in touch with reality and their failure to accept the basic economic principle that slowing economic growth will always temper inflation reveals a level of naivety that is worrying. Having been largely responsible for guiding the euro’s meteoric rise over the past 2 years, the ECB may now be looking for ways of trying to cushion its fall. 15 cents this month is what the dollar has gained against the pound. Gains of this magnitude in such a narrow time span are unprecedented and it must added, they are also generally unsustainable. The big problem with cable at the moment is trying to pick a bottom. It had looked last week that 1.85 might prove to be a point from which the pound would rebound, but earlier this morning the pair went as low as 1.8329 and we cannot be confident of having yet hit a bottom. A serious lack of liquidity this month has cost the pound dearly as negative sentiment against the UK currency has encouraged traders to use the rather thin trading conditions to send the currency tumbling. Cable certainly offers value to buyers at current prices, but the problem is that volatile trading could see the market move significantly lower without warning and leave positions exposed. Next week, when market liquidity will improve, we could see a greater volume of value trades come into the market and lead to a corrective bounce in the pound, possibly a sharp bounce. There is no data of any real not this week, with the exception of Nationwide house prices on Thursday, which will show a further retreat in UK house prices. With UK consumer price inflation running at 4.4%, the Bank of England, which meets next week, is not in a position to ease UK interest rates for now, thus cable’s collapse to 1.83 looks to be way overdone. A safer trade involving the pound would be to sell EUR/GBP, because with so much bad news already priced into sterling and the euro economy slowing at an equally fast pace, there is scope for a substantial pullback in EUR/GBP over the coming months. While the dollar has steamrolled over every other major currency this month, it is only marginally higher against the yen. We have seen a major unwind in carry trades in recent weeks and this together with a rise in risk aversion on equity markets has broadly protected the Japanese currency. The euro has fallen back to the Y160 price mark and we could potentially see this pair fall to 1.45 by year end, particularly if European equity bourses remain subdued. As long as the dollar remains in vogue against other currencies, the yen will struggle to make gains against the US currency and if economic data out of the US gains more positive momentum, USD/JPY will become one of the long plays for the rest of this year, with the potential for a push towards at least 1.15 before the year end. There is the danger of a reversal in US dollar support over the next 2 weeks when liquidity levels rise and in this environment the yen could also find itself on the back foot, particularly against the euro, pound and Swiss franc, given the extent of the currency’s gains in August. Economic data out of Japan will continue to play a minor role and yen traders instead need to focus on the performance of global equity markets as well as following US economic data over the coming weeks. The loonie has proven itself to be remarkably resilient over the past week, gaining broadly across the board against every single major currency and significantly so against the euro, pound and Australian dollar. The rollercoaster ride of commodities in the past week has failed to puncture support in the loonie, which seems to have gained a new lease of life, possibly owing to a growing appetite for North American currencies, thanks to the revival in the US dollar. Canadian economic data has printed mostly in line with expectations over the past week but the all important litmus test comes later this week, when Quarter 2 GDP is published. Following a contraction in quarter one we should see a marginal gain in growth in quarter 2 as exports grew thanks to a dramatic increase in commodity prices. If we get another contraction, Canada will officially be in a technical recession and this will hurt the loonie very badly, particularly if commodity prices continue to tumble this week. The loonie may come under pressure against the greenback and USD/CAD offers good value on any dips back towards 104.30. The key support on the downside for the greenback is 103.70 and as long as this holds the pair will remain in an uptrend. For those going long, a stop should be placed below this price level. Against the other majors, the loonie could continue to make inroads on the euro, although any break below 1.52 might be unrealistic ahead of a euro correction higher. Euro zone data keeps disappointing and this morning’s German Ifo business survey reported the sharpest fall in business sentiment since 2001. Also, preliminary readings for the manufacturing and services sectors of the euro area see another month of contraction in July, with the slowdown accelerating. The Ifo business climate reading fell to 97.5 in July, down from 101.3 in June. The composite PMI for the euro area (measuring both manufacturing and services economic activity) is seen as falling to 47.8 in July, from 49.3 in June. French and Italian business sentiment also fell more than expected in July and all told, economic woes for the single currency zone are mounting. It is difficult to fathom that the ECB has just hiked rates against this background and only time will tell if that policy decision was a big mistake, especially if oil prices continue to ease. The dollar has made significant gains overt the past 2 days but it is essentially only back to the levels it was trading at prior to the breakout of the Fanny Mae/Freddy Mac crisis 2 weeks ago. The real test for the dollar will be if it can break below 1.5610 against the euro and hold below this level. If we can achieve that, it may be time to look for a possible retreat all the way back to 1.5283. The euro picked itself up impressively from a low of 1.5637 to reach 1.5697 in the hour following the Ifo Business survey release and after a brief stint above 1.57 after US existing home sales numbers disappointed the pair is back around 1.5670. Oil prices will continue to play an important role in the greenback’s fortunes. There is a sense that sentiment is beginning to shift against the euro and although weak US economic data will curtail dollar gains, traders need to be on their guard for any comments from ECB and Fed officials. Any softening in tone from ECB Council members will hurt the euro. If the dollar holds below 1.5720, it is worth selling down from close to 1.57, as the pair may have another run at that key 1.5610 price level either today or tomorrow. Any break below that should see us return to 1.55, possibly by Monday. Today is a very important day for direction, because the dollar has not managed a 3 day rally against the euro for 2 months. Sterling has had a weird couple of days. On Wednesday it rose sharply against every other major currency, although its gains against the dollar were more modest, while today it has plunged after European currencies came under pressure early this morning and after it was announced monthly UK retail sales plunged by their heaviest amount since the series began. The Bank of England minutes on Wednesday reveal Tim Besley voted for a rate hike at the MPC meeting earlier this month. It is the first time a member has voted for a rate increase since July of last year. The hawkish bias to the minutes sent sterling rising rapidly as investors began to price in the possibility of a future rate hike from the Bank of England. In fact the minutes even stated that August would be a more appropriate time to increase rates, if a rate hike was warranted. One has to wonder if the MPC is seeing the same data as the rest of us. The dollar has finally managed to break below the 1.99 support point that held firm for 10 days and if it can push sterling below 1.98, then we should have a trend reversal and the pair could go considerably lower over the next week. 1.99 is a key price barrier and if the dollar does not hold it, the pound could make another run towards the 2 dollar mark and 2.01. Tomorrow’s GDP release in the UK is crucial and if it shows a contraction, which is unlikely, then sterling will sell off very sharply. If selling down, traders should place a stop around 1.9910. The pair is still being bought on dips and remains dangerous for bears, until 1.98 is broken. Sterling could find itself pegged back towards 79.50 against the euro by early next week. The yen has been hammered this week by the dollar, the euro and the pound. The euro registered a new lifetime high on Monday at 169.95, while the dollar hit a 7 week high against the yen yesterday just below 108. The Japanese currency has stabilised somewhat today as falling stocks and a rate cut in New Zealand has temporarily stalled the carry trade. If the current stock rally comes to an abrupt end, then the yen could gain significantly against the US dollar, given the pair currently trades 4% above the worst levels from last week. However any resumption of the stock rally will continue to see the yen out of favour and the dollar could potentially try to rally all the way to 110 over the next week. There is no value on selling the yen against any currency at current prices, given the risk, while any euro moves towards Y170 offer very good medium term value for a sell down on what is the most over-stretched of the yen crosses. There was no economic data out of Canada on Thursday and the currency continues to trade within a tight range against the greenback, moving between 1.00 and 1.0115. While headline inflation rose to over 3% in June, the core rate was contained at 1.5% and this affirms the view the Bank of Canada will keep rates on hold for the foreseeable future. Commodity prices have come off considerable in the past week, with oil prices shedding $20, yet the loonie has managed to hold its own across the board, indeed making gains against the euro and the yen, while holding tight against the US dollar. A sustained slump in commodity prices will eventually hurt the loonie against the US currency and it is difficult to see the pair not returning to 1.02 over the next week, unless there is some renewed scare in financial markets. The loonie has also been helped by a rise in risk appetite, but that too is under threat with the recent stock rally looking shaky by Thursday. The euro has fallen to 1.58 this morning, as I projected a few days ago and there is the potential for a decline to 1.56 for EUR/CAD over the next week, if the euro continues its decline against the US dollar. Holding in a tight range since last Tuesday’s surge to a new lifetime high. The pair peaked at 1.5906 today before declining to the 1.5850 price range, the equilibrium price for the pair over the past 4 trading days. With no data to direct price, the pair is practically in limbo today, although there remains a decidedly bullish tone as every dip in price is met with a rapid recovery. It is disheartening for dollar supporters to see that 3 days of a rally in stocks and a sharp sell-off in oil has failed to muster any rally whatsoever in the greenback and it seems the market is only interested in news that can justify sinking the US currency further. We are at a very important junction for the pair and the next move up or down could prove critical for how this pair trades through the rest of the summer. The dollar has to send the pair below 1.5750 and push towards 1.5610, otherwise another rally towards the lifetime high of 1.6025 looks certain over the next week. There are a few important indicators out in the euro zone this week, including the German Ifo business survey and preliminary readings for the manufacturing and services PMIs. These could surprise to the downside and pose some risk for the euro. It has been remarkable how silent the ECB has been over the past week in response to the recent run-up in the euro and softening economic data and this may be taken as a signal the ECB is not at all uncomfortable with the current high value of the single currency. There was ample opportunity over the past week for ECB officials to take the steam out of the euro’s rally, but it failed to do so. However, the recent rally in the pair has been wholly because of problems in the US banking sector and if risk aversion abates over the course of this week, the euro could give back most of those gains. While confidence in the US economy remains low, the euro will remain well bid and the dollar will struggle to make much progress, regardless of how the data prints. The dollar must break below 1.780 and hold below this level before we can talk about a possible reversal of sorts. On value grounds, it is worth selling at prices close to 1.59, although traders need to be aware the market may be seeking to push the pair back above 1.60 in the short term. Sterling continues to hold its own and cable is trading on Monday in exactly the same range as on Friday last, while the pattern is identical, an early dip in the morning to 1.99 before a recovery to 1.9970 in the afternoon session. Sterling is benefiting from a temporary flow of funds into the currency and this should not be mistaken for a reversal in trend. The economic fundamentals out of the UK keep getting worse and this morning Rightmove reported house prices fell by 1.8% in June. There are a number of key releases this week in the UK, starting with Wednesday’s BoE minutes, followed by retail sales on Thursday and an advance print of quarter 2 GDP on Friday. Markets have essentially priced in a very hawkish MPC but if Wednesday’s minutes show Committee members to be more concerned about declining growth than rising inflation, then sterling could sell off very sharply. Sterling offers no value on prices near 2 dollars, even if the pair temporarily shoots above this level. When markets regain some confidence in the US currency, sterling will be an immediate target of market traders. If UK data prints on the poor side this week, the euro might also rise to above 80 pence and possibly gain some momentum to see it close in on the record price near 81 pence. I would wait until after Wednesday’s minutes before entering the market on sterling, as it in itself could trigger some very volatile trading and we will be in a much better position to judge sterling’s prospects after we have had an insight into the thinking of MPC members. The yen fell to a record low against the euro Monday as risk tolerance levels rose thanks to 4 consecutive rallies in global stocks. The pair hit a high of 169.90, which is an extraordinary price when one considers the market panic that followed the Fannie Mae and Freddy MAC mortgage crisis in the US early last week. The euro’s price is totally exaggerated and one could do worse than sell the EUR/JPY down at the current price around 169.50. If the current rally in stocks proves to be a false dawn and risk aversion levels rise again, the yen will gain very quickly. In addition, the euro has a number of economic risk events this week, which could send the single currency lower. Economic data out of Japan will not have a market impact this week and with the calendar in the US, also on the light side, the yen’s fate against the greenback will very much depend on the performance of US stocks. There is definite value in selling down, if prices rise close to 108, as the pair actually hit a low of 103.78 last week, and the pace of the dollar’s rapid recovery might prove to have been premature. The Loonie has taken on a firmer tone on Monday and has made modest gains across the board, against all major currencies. There was no economic data on Monday to influence the currency, although a rebound in commodity prices has offered some support. The market has been reluctant to see the loonie break parity against the greenback over the past week, but an upside surprise in Tuesday’s domestic retail sales could be the trigger the Canadian currency needs. Also this week we have got the latest consumer price inflation report on Wednesday and here again, another higher than forecast print, especially in the core rate, should send the loonie higher. The loonie should also be able to appreciate to at least 1.58 against the euro, while the currency would also benefit from any sustained rally in the US dollar, against the other majors. The euro has performed remarkably well since last Thursday, when it shed 2 cents against the dollar after a less hawkish than expected monetary policy statement from the ECB. The pair has moved within a 1.5610 to 1.5750 trading range since Friday and if anything, the euro has looked the more bullish, with the market seemingly ready to jump on any reason to offload the dollar. An Iranian missile test Wednesday morning saw oil prices stall their recent decline and this has given a bearish tone to the greenback. Poor trade and industrial data out of Germany and France was ignored by markets. German exports fell a sharp 3.2% in May, from April, the 3rd month in 5 that exports have contracted, while the French trade deficit for May was wider than forecast and industrial production came off by a whopping 2.5% in May. The euro’s ability to shake off poor economic data is becoming too much of a habit of late and it is a classic case of nervous currency markets favouring directional trends over economic facts. The US dollar has been unable to sustain any rally it has undergone all year for very long and dollar bulls are proving themselves to be fear-driven creatures, jumping off the train at the slightest hint of weakness or price stalling. The G8 concluded in Japan with leaders failing to make any mention of the weak dollar, something else which has in essence given license to traders to sell the US currency without fear of market intervention. ECB President Jean Claude Trichet, in his address to the European Parliament on Wednesday, sounded much more hawkish than he did last Thursday after the rate setting meeting, and this encouraged further euro buying. The euro currently stands at 1.5710 and while there is little value in buying the single currency at these prices, any rally above that sees price go above 1.5760 might generate greater momentum and send the pair back up to 1.5820. The pair is due a retreat back to 1.55 at least, but the dollar needs something to spark the move. Bernanke addresses Congress on Thursday and any hint of a future rate hike in his testimony will fuel a strong dollar rally. There is very good medium term value in selling down EUR/USD on prices near 1.5750, because of the significant downside risks for the euro economy in the months ahead and the fact the ECB’s growth forecasts may prove to be over-optimistic. Sterling has bounced off a low of 1.9672 Wednesday to rally to 1.9836 against the dollar early Thursday, before retracing back to 1.9750. UK economic data disappointed again this week and sterling’s rise has more to do with a broadly weaker dollar than a stronger pound. The Nationwide consumer confidence survey for June reported another dip in consumer sentiment, the index falling to 61 from 65 the previous month, while HBOS reported house prices fell 2.0% alone in June. In addition the UK trade deficit was reported to have widened to £7.5B in May, marginally above expectations. Data out of the UK over the past 3 weeks has been depressing and points to an economy that is teetering on recession. However, sterling has hardly budged during this time and if anything it is now trading higher as traders bet the BoE will not cut rates while inflation is a threat and markets have priced in an actual hike in the coming months. In a normal economic cycle, the pound would now be pummelled, but the currency is currently evading collapse because the Bank of England’s hands are tied and traders are opting to persist with sterling because of its attractive yield of 5.0%. The MPC on Thursday, as expected, left rates unchanged and the Committee refrained from issuing an accompanying statement. Markets are currently rewarding higher yielding currencies, regardless of economic data and outlook and in this scenario sterling is likely to hold within current ranges, although there remains the risk of speculators going after the currency in the near future, because of the dismal economic picture in the UK. The dollar must break below 1.9650 to have any chance of pushing the pair back to the lower end of the range and the year’s lows under 1.94, otherwise the pair may well move between 1.97 and 2.00. The value trades are selling down on prices above 1.98. Sterling should be able to hold the euro below 80 pence, unless there is some hint of monetary policy easing from the Bank of England. The yen is lower against every major currency on Thursday even though equity markets plunged in New York on Wednesday evening and the European bourses are trading between 1% and 2 % lower on Thursday. This apparent disconnect is the strongest evidence available that investors are now more concerned about yield than they are about growth and currency risk. The euro is trading close to its lifetime high against the yen even though European equities have collapsed over the past 6 weeks and economic data out of the euro area has been significantly sifter than that out of Japan. The carry trade seems determined to march on and the only event that might undermine it at the moment is if there is a sustained and convincing retreat in commodity prices, or evidence of a another major bank failure. It is fruitless buying the yen in this environment and the value trade is to buy the dollar against the Japanese currency on dips towards 105 and below 106. If Ben Bernanke’s testimony in front of Congress on Thursday gets the thumbs up from US stock markets, expect the yen to face another sell-off later today. The loonie had one of its best days in weeks against the greenback on Wednesday, gaining almost a cent, although it failed to penetrate below the 1.01 line. Broad dollar weakness and a bounce in commodity prices helped the loonie gain some impetus. Housing Starts in Canada came off slightly in June, but were I line with forecasts and the data underscores that Canada’s housing sector is essentially free of the financial crisis currently ravaging the US housing sector. The loonie is likely to remain contained within a 1.0070 to 1.02 price range until Friday’s employment report. Another positive employment report could help push the loonie higher against all other currencies, especially if oil prices continue to trade at elevated levels, while a negative employment number could spark a significant sell-off and see USD/CAD return to 102.50 at least. If data is in Canada’s favour, look for the euro to drop to 1.58 by week’s end. The Bank of England is meeting this week to deliberate on monetary policy, at a time when the UK economy looks to be slipping into a steeper downturn, while inflation is rising to new highs thanks to rocketing oil and commodity costs. It is only a few months since markets had been pricing in up to 3 further rate cuts this year, but that position was reversed when inflation bubbled back above 3% in April, then hitting 3.3% in May. The inflation rate is likely to register higher again for June when the numbers come out later in the month. Markets suddenly began pricing in rate hikes over the past month with many analysts predicting it would come as soon as this week. But in the past fortnight economic data has revealed an acceleration in the downturn of the UK economy, with the manufacturing, services and construction sectors all contracting in June, while confidence amongst consumers and businesses alike are at rock bottom. It is difficult to see how the Bank of England can raise interest rates against this backdrop, unless they wish to push the economy into an even sharper downturn and into recession. The Governor Mervyn King has recently admitted that rising inflation is owing to spiralling costs of imported oil and commodities and short-term adjustments in interest rates is not going to alleviate this problem. What the Bank will need to determine is if an interest rate hike would be successful in anchoring inflation expectations and might ward off potential second round effects, where unions are demanding higher wages from employers. But with economic growth grinding to a halt, it is likely the labour market will soften over the next 2 quarters and wage inflation should not be an issue. Also, while inflation may rise higher in the coming months until such time as there is a stabilisation or a decline in commodity costs, inflation should moderate accordingly from the middle of next year. Indeed there is every prospect that commodity prices could collapse, given the stagnant state of the global economy and in this situation inflation could begin to decline sharply from the middle of next year. It would be totally irresponsible of the MPC of the Bank of England to raise interest rates to combat an inflation threat they largely have no control over. Indeed the MPC would be better served to coordinate actions with other major Central banks who find themselves in exactly the same dilemma. The diversification in polices of the ECB and the Fed serves to remind us no coordination currently exists. The ECB went it alone and decided to raise interest rates last week, but economic data from the euro zone in the coming months could indicate that the ECB’s decision to tighten now was a huge mistake. In any event recent economic data out of the euro area has not been as soft as that out of the UK, while the euro economy significantly outperformed the UK economy in the first quarter of 2008, the last period for which comparative GDP data is available. Therefore, the Bank of England is not under undue pressure to follow the precedent set by the ECB. The Bank of England is clearly not in a position to raise interest rates in the current climate and in fact there should be considerable more airing for an argument to cut them this week, than there was a month ago, even allowing for the subsequent rise in consumer price inflation. It seems certain rates will be kept on hold, given all of the risk and uncertainty currently surrounding growth and inflation. A brave decision would be to take a leaf out of the Fed’s book and to cut rates, to help stimulate growth at a crucial time for the economy, on the assumption that longer run inflation will be forced to moderate anyhow as the economy slows. Either way, markets should be on the lookout for comments from Bank of England committee members in the days after the meeting, because business and consumers alike will be looking to the Central Bank for some words of wisdom or reassurance, at a time when economic growth is deteriorating at an alarming pace. It is not beyond the bounds of possibility the MPC will break with normal tradition and issue a more detailed statement this week, even if rates are kept on hold, in an attempt to more promptly address growing fears about the state of the economy. Sterling should continue to hold its own against the euro and the dollar, trading within recent ranges, while markets continue to rule out the possibility of rate cuts. But any sustained move against commodities will tend to undermine the pound because a relaxation in energy and food costs would make the Bank of England a certain candidate to then ease its monetary policy in the months ahead. This week’s MPC meeting could prove to be a non-event for the currency, if, as expected, rates are left on hold and the Bank does not issue any detailed statement. There is serious downside risk for the currency over the medium to longer term. The euro fell to 1.5610 early Monday as the knock-on impact of the ECB’s more dovish than expected statement last Thursday rolled into Monday, leading to a further liquidation of euro long positions. Monday’s economic releases did not help the euro with Germany’s Industrial Production declining by 2.4% in May, the steepest decline in 9 years, against a consensus rise of 0.5%. Recent economic data out of the euro area has been very poor and the only reason the euro has held up is because of the hawkish stance of the ECB. If euro zone economic data continues to reflect a sharpening slowdown in economic activity, the ECB’s rate hike last Thursday could begin to look like a serious error of judgement and could lead to a longer run sell-off in the single currency. In fact with commodity prices at risk of a sharp decline owing to the global economic slowdown and US interest rates almost certainly at their nadir, the medium to long-term outlook for the euro over the next 6-9 months does not look particularly bright. The euro may have peaked at 1.6016 and current prices around 1.5650 would appear to offer very good medium term value, even if the euro has come off sharply in the past few days. There looks to be no reason why EUR/USD will not now retreat to test key support levels around 1.53. This is a data light week on both sides of the Atlantic and direction will be influenced more by scheduled statements from the G8 and Fed Chief Ben Bernanke than by economic data. Oil prices will continue to play a dominant role and any further rise in oil prices will be seen as a reason to sell the US currency. The G8 has been pretty much ineffective in the past in dealing with the oil/dollar crisis and it may be wishful thinking to expect anything from the Japan summit of the leaders of the 8 largest economies. Indeed a return to the usual mantra of the requirement for oil producing nations to support increased oil production will likely be laughed off by financial markets and rather than leading to support for the dollar, it may well undermine it. There is value in selling down the pair on prices close to 1.57, with the potential for a return to 1.55 or even 1.54 over the next week. Watch out for Bernanke’s speeches on Tuesday and Thursday as these are likely to be the most important events of the week. Unless the Fed Chief signals an intention to raise interest rates to offset rising inflation, the dollar will not be aided. Sterling is coming off the worst 2 weeks of economic data we have seen in years, with one report after another signalling a sharp downturn in the performance of the UK economy. Soft data has not been restricted to the housing sector, with economic activity in the manufacturing and services sectors entering contraction in June while the retail sector also comes under pressure. Sterling rose to 2 dollars against the dollar last week as traders speculated the Bank of England might raise interest rates to stave off the rising threat of inflation. This inflation however is commodity-driven and is outside the influence of the Bank of England and there is zero chance the MPC will move to raise rates when they meet later this week. This realisation has finally sunk in with markets and this morning the pound slid to below 1.97 against the greenback while the euro rose to above 79.5 pence. The Bank of England would normally be rushing to cut interest rates in an environment where growth is flat or negative but feel constrained by inflation concerns. In this environment the UK slowdown is only likely to become more pronounced and the medium term outlook for sterling is bleak. The Bank of England may feel forced into cutting rates, even while inflation is rising, as the Fed has done in the US, gambling that commodity prices are likely to retreat in the medium term. Mervyn King has not sown the inclination to be so creative in his policy thinking, so expect a wait and see approach this week and the Bank of England to stand pat on rates. Cable should be heading back to test the lower end of the trading range at 1.94, so it is still worth selling down on prices close to 1.97. There could be a lot of volatility this week, while any retreat in commodity prices will prove to be negative for sterling as it will relieve inflation pressures and make it easier for the Bank of England to cut UK interest rates. The euro will struggle to climb much above 80 pence against the pound, in the absence of any signal from the Bank of England to ease rates. The yen is the worst performing of all the major currencies Monday as markets use the pick-up in stocks and rumours of a G8 reference to the need for a strong dollar as a reason to offload the low-yielding Japanese currency. The yen may struggle in the short-term in a situation where G8 leaders might issue some coordinated statement on the dollar and commodity prices, as the impact could lead to a rise in stocks and risk tolerance that would undermine the yen. However, expectations from the G8 summit are probably exaggerated, particularly with respect to any direct reference being made to the dollar, and any resultant disappointment in markets could see risk aversion rise again and lead to the yen recovering somewhat against the dollar and the euro. Domestic data will not have any significant impact on the direction of the yen during this week. The euro is clearly massively over-valued against the yen at prices over Y168 but it is difficult to see the trend being reversed in the immediate term unless there is some sustained downward move against the single European currency. The only currency offering value against the yen at the present time is the US dollar and that is only on dips back towards the Y105 price level. 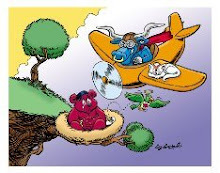 Stock market performance will need to be monitored closely over the coming days as will the scheduled speeches from Fed Chairman Ben Bernanke. The loonie has continued its see-saw battle against the greenback over the past week and the pair remains pinned in a 1.0050 to 1.0250 price range, offering the most lucrative range-trading pair of all the majors. Soft economic data and concerns over the country’s sagging growth are preventing the loonie from getting away while equally soft economic data from the US and rising commodity prices continue to prevent the greenback from making a decisive move. The medium term outlook would tend to favour the US currency given the risk of a sharp correction in commodity prices, while any signal from Ben Bernanke that US interest rates are destined to rise could see the upside gain in the short run. Next Friday’s employment data out of Canada will be important although only a sharp decline in the employment total is likely to lead to any meaningful rally on either side, to the upside in this case for USD/CAD. In the unlikely event the G8 meeting results in some coordinated effort that sees in a retreat in commodity prices, then the loonie would also come under selling pressure. For now, expect the loonie to range between 1.01 and 1.03, with the value trades being bids on prices nearer to 1.01. The loonie could extend its rally this week against the euro, given the ECB has signalled a pause in interest rates and the euro could retreat to 1.58 at least against the Canadian currency.